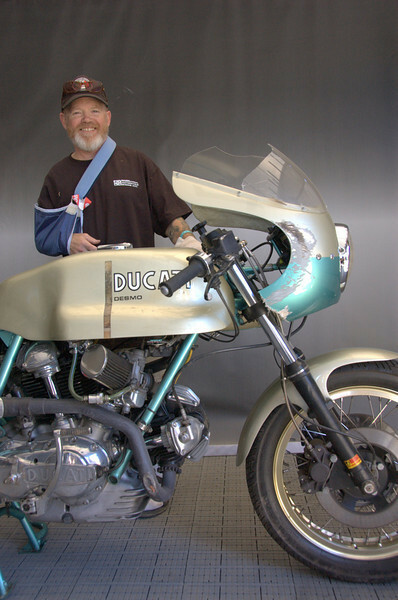 Keith Hale and his 100,000 mile 750 Super Sport "Green Frame". Keith had a get off on the way to the track, which scraped the fairing and broke the windshield. The bike arrived on a flatbed but he left it in the contest. Somehow it just added to it's panache.